Kyle Wright wins the $4ok Guarantee for $11,143! We have a winner! 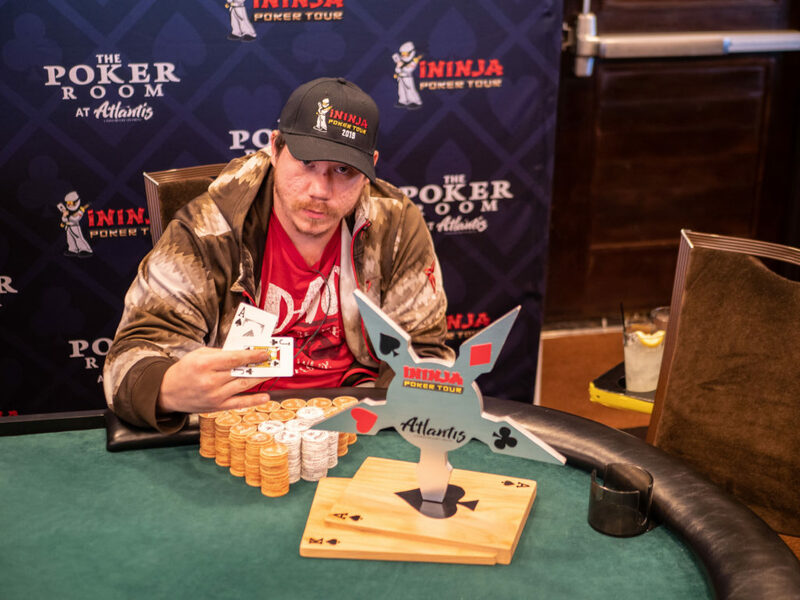 Congratulations to Kyle Wright for winning the @iNinjaPoker $40k Guarantee @PokerAtlantis@atlantiscasino taking home $11,143 and a sweet trophy! #sweetswag . The event saw 199 entries over 4 starting flights, with Kyle finishing off runner up Paul Sampson just 2 hands into the heads up finale. The iNinja Poker Tour continues for the next week at Atlantis Casino Resort Spa with multiple events over the next week culminating in a $500 buy-in, $100k guarantee! The $280 $40K guarantee at Atlantis Casino Resort Spa has completed all starting flights. There were 199 total entries and 26 players have made Day 2 and are in the money. Below are the players listed by chip count, as well as by seat assignment. Good luck to all 26!